Stereotypes and preconceptions aside, videogame character design can be as progressive as the real thing. Copyright Square Enix. Videogames can be a bit of mystery for those who don't play them or aren't involved in the industry in any way. But for those in the know, gaming is like being given the ability to actively play out a book or film - your way. It's developing and engaging with an art form at your fingertips. Legions of international gamers created a US$74 billion industry in 2011, and technology advisory firm Gartner Inc. projects that the videogame market will expand to US$115 billion per year by 2015. Nintendo Wii, Facebook and mobile gaming, and the popularity of titles such as Angry Birds, demonstrate that the once niche market has blown wide open, and has become involved with many outside businesses in the process, including fashion and design. Given the increasing visibility of the gaming industry, has it shaped the way some people look at fashion? Growing up, I identified myself as a gamer, and I strongly suspect that gaming is where I found my interest in fashion; I'd wager that gaming is how I became interested in the avant-garde, in general. One doesn't have to look far to find gamers who recognise that their style is influenced by their pastime. Considering the time, effort and talent that goes into character design, it's surprising that more gamers aren't open to admitting to this. However, videogame-inspired fashion statements also have a negative connotation, as they can be pigeonholed into being solely associated with cosplay ("costume play") and LARPing (Live Action Role Playing). While there are a plethora of conventions that encourage cosplay - such as BlizzCon and Comic-Con - gamers often only suit up in their game-inspired apparel for special events that draw a large crowd from their community. "Some people dress up for these events, and these alone, because they won't feel stigmatised," says Jon, a young videogame enthusiast from Toronto. "They're afraid of being judged by people outside of the group: people who don't understand the videogame aesthetic." Afterall, cosplay can come at you in an uncompromising way. Instead of only adopting the more wearable pieces of a character, cosplay brings out the armour, chain and swords - likely the crux of the ostracisation of gamer fashion. On a normal day, few gamers wear similar clothing to that of their in-game favourites. Instead, they often feed into the thriving game t-shirt industry, buying designs inspired by their favourite video games from companies such as J!nx. For the timid or those who lack the confidence to go against what they see as established norms, character/game identification through t-shirts is a much safer bet than actual character costumes. However, while I remember experiencing some social shame from associating myself with videogames when I was younger, the demographics of the industry have drastically changed. According to the Entertainment Software Association, 47 per cent of today's gamers are female and the average gaming age has increased to 30-years-old. What was once the established domain of teenage males is beginning to vanish, due to the expansion of the mobile and casual gaming markets. The initial concept art that precedes an apparel piece or character design is essentially the same process. The shift in the gaming market has visibly changed the way the fashion industry interacts with it. Aside from the Apple App Store being inundated with dress-up games, big names in the fashion and the gaming industries are starting to amalgamate the two fields for their mutual benefit. Taking a cue from Hollywood, it's not uncommon to see game-based best-dressed lists on gaming industry online publications. Gamers are also engaging with the fashion industry. Console to Closet, a blog run by Amanda McGinnis (or LadySnip3r to the online world), finds inspiration from game characters and creates ready-to-wear looks based upon them - an idea that is the gamer-turned-stylist's dream come true. Arena Homme +, a biannual contemporary men's magazine, created a spread earlier this year that put Final Fantasy characters in the Prada Men's S/S 2012 line. The first of its kind, the campaign garnered a large online following with many international news agencies picking up the story. With such high profile groups leading the way, fashion-plus-gaming exposés are likely to flourish. While many may not acknowledge it, both the fashion and gaming industries have shared inspiration and ideas for quite some time. After all, the initial concept art that precedes an apparel piece or character design is essentially the same process, outside of measurement. The "ninja-goth" look sometimes ascribed to certain runway looks by Rick Owens, julius_7 and The Viridi-Anne is closely associated to many videogame characters, such as Altair and Ezio Auditore da Firenze (Assassin's Creed), Sub-Zero and Scorpion (Mortal Kombat), as well as Rikimaru and Ayame (Tenchu): all classic characters from expansive franchises. 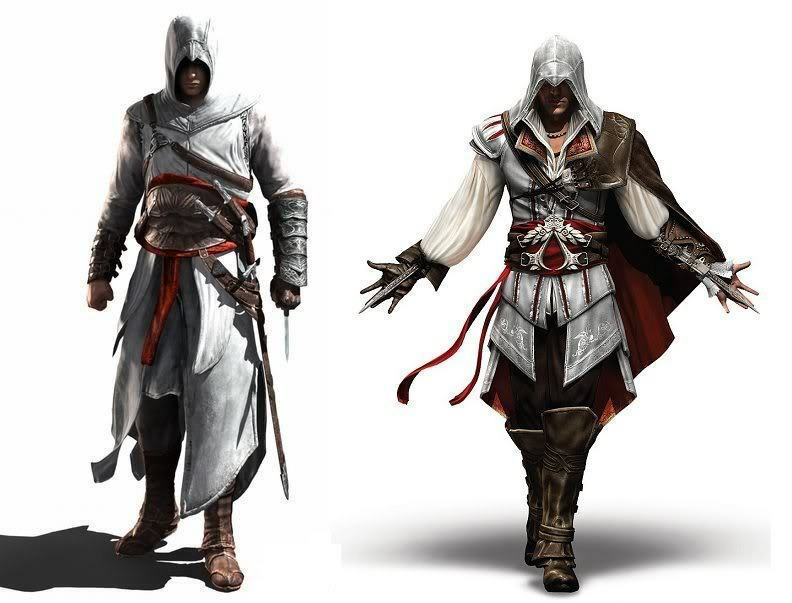 Many similarities can be drawn between darker design aesthetics in fashion and established video game characters. 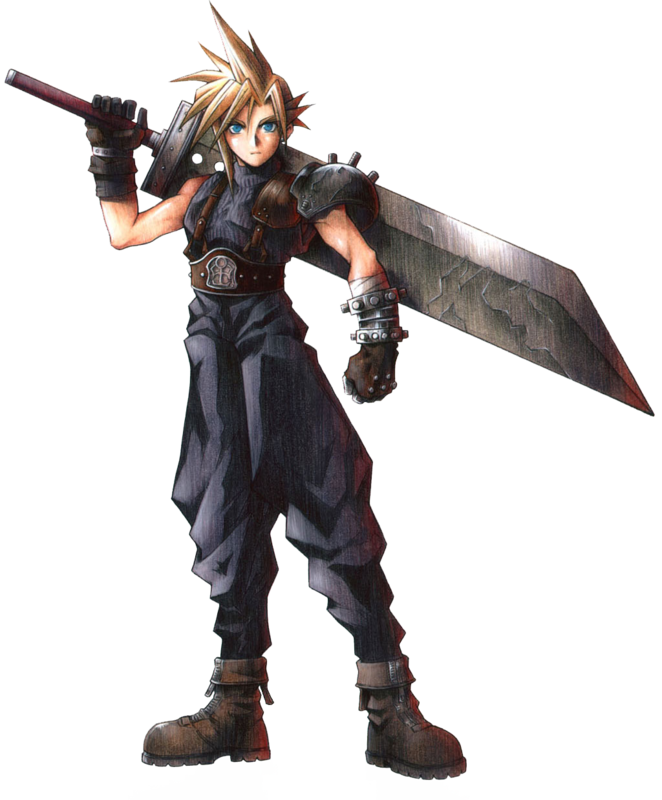 After I tried on a pair of Zam Barrett's DNA jeans for the first time, I instantly equated them to the early concept work for Cloud Strife. 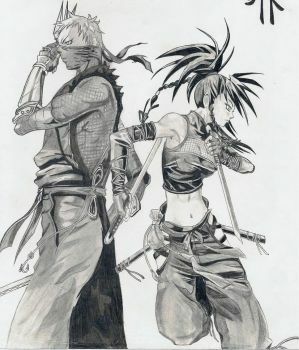 Much of the crossover between the designers and characters comes from the dark, Japanese aesthetic. One direct example of this relationship is the recent announcement that julius_7 will be working with Takeshi Obata: a celebrated manga, anime and video game artist known for his keen attention to fashion. The genre most well regarded for its attempts at using fashion and unique character design is the RPG (role-playing game) industry. Known predominantly for lengthy storylines, character development and the longest gameplay of any genre, the RPG itself may be going partially extinct. Greg Zeschuk, co-founder of BioWare, stated last year that RPG mechanics are being integrated into other genres, while the RPG genre is becoming "less relevant, in and of itself." Character design may certainly suffer from it. With the popularity of military titles and casual mobile games, character artists don't have the freedom they once had with more expansive and outlandish titles. Will the increase of non-traditional gamers and games based predominantly in real life lead to a less progressive stance on character design? I certainly hope not. By recognising the merits in game design, fans, artists and fashion designers alike can come to find fresh and interesting concepts adaptable within the real world. All you have to do is take the leap.